Hello! Welcome to A Paperback Life. This blog is mainly a place where I post reviews of the books I read. Some other book related activities may also take place once in a while! I’m mainly a fan of mystery/detective stories, plays, short stories and classics. I also love discovering forgotten classics and bringing them to everyone’s attention. 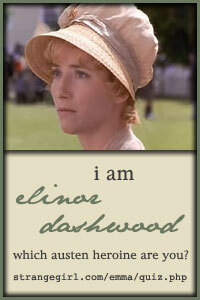 I’m not really a fan of mushy romantic stories and books written after the first half of the 20th century. I am not much into the recent spate of YA lit or paranormal romance either (vampires, werewolves, fallen angels, fairies, changelings; etc.). Favourite Authors: Douglas Adams, Jane Austen, Emily Brontë, John le Carré, Agatha Christie, Charles Dickens, Thomas Love Peacock, Richard Brinsley Sheridan, Bram Stoker. 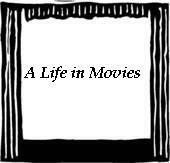 I also have a movie based blog called A Life in Movies. Do check it out, if you want to. I don’t know you but I just randomly tagged you in a game of blog tag. I would like to extend an invitation to becoming a Tour Host for Partners In Crimes Tour. Please visit our site @ Partnersincrimetours.net. If interested, there is a host submission form that can be filled out. Also there is a Laurel Dewey tour posted for Oct/Nov that still has openings if you are interested. Do you have a personal id where i can contact you ?..Its just i have an idea and would like to know if you are interested.Can you contact me at 1morepageplease@gmail.com if you are interested.